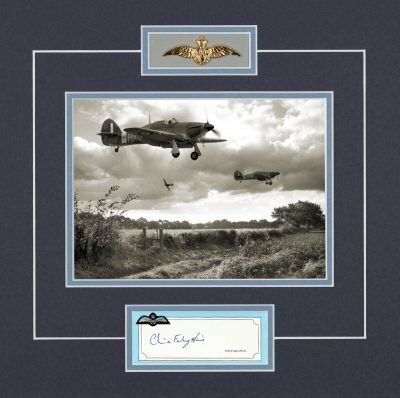 In the period leading up to the fall of France and the Battle of Britain Christopher Foxley-Norris flew Lysanders with 13 Squadron but by the time of Dunkirk they had lost all their aircraft. He returned to England to join Fighter Command. Posted to numbers 3 then 615 Squadrons he flew Hurricane Mks I and II, where he recalls being “shot up once and shot down once”. He later commanded Beaufighter and Mosquito squadrons. 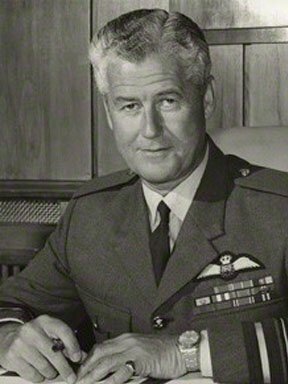 His DSO citation referred to his “long and distinguished record of operational flying….against a wide range of enemy targets…. making numerous attacks against enemy targets, his brilliant leadership, exceptional skill and determination”. A natural leader, he was always destined for high rank.